this is on my friend zoe. 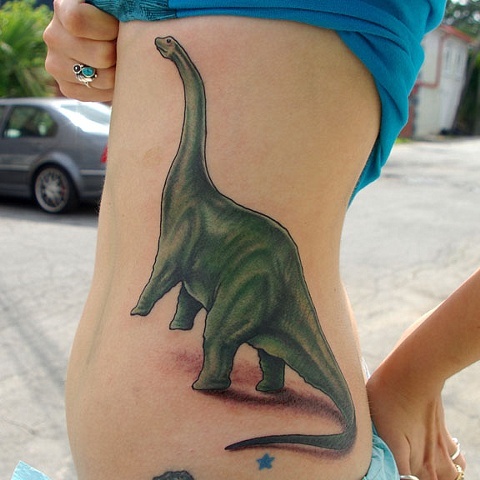 she also has a t-rex that i did a couple years ago. the picture is in here someplace. she's an actress. she was in the 'butterfly effect 3' or 'Saw VII' or something like that. she told me but i forgot. i'm pretty sure it'll be the last thing she's in, since i've effectively ruined her acting career by putting a giant dinosaur on her ribs.